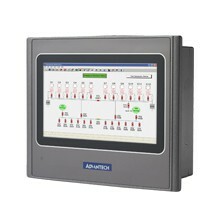 Advantech Industrial Data Gateway including HMI Runtime Software and data storage. 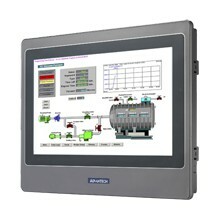 This gateway features dual power inputs to shorten the downtime to enhance operation stability. 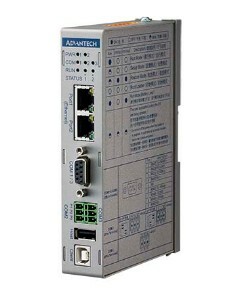 With versatile I/O interfaces that can easily connect PLCs, controllers, I/O devices and PC/Server for data transmission. Панели оператора с диагональю от 3.5" до 4.3" и ОС Win CE для общепромышленных задач. Веб-панели оператора с диагональю от 5.6" до 7" для систем автоматизации производства и общих промышленных задач. Веб-панели оператора с диагональю от 8" до 10.4" для систем автоматизации производства и общих промышленных задач. Веб-панели оператора с диагональю от 12.1" до 15" для систем автоматизации производства и общих промышленных задач. 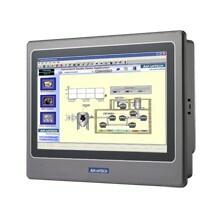 WebAccess/HMI Designer is powerful yet intuitive software to create total solutions for all the TPC/ WebOP/ UNO series Human Machine Interface products. 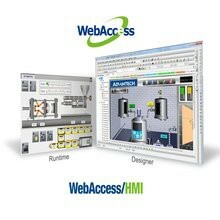 WebAccess/HMI is proven in many application fields and is an easy to use integrated development tool. The features include solution-oriented screen objects, high-end vector graphics, Windows fonts for multi-language applications, recipes, alarms, data loggers and operation logging. WebAccess/HMI Designer also includes online/offline simulation and other utility programs such as Data Transfer Helper (DTH); recipes editors and text editors. 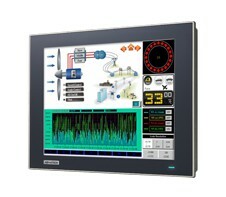 WebAccess/HMI runtime, a part of WebAccess/HMI Designer, guarantees reliability and performance of Open Platform because of the minimum system overhead, high communication data rates, sub-second screen switching, and 24/7 operation. Our fast response software team adds new functions, communication drivers and solutions to the software all the time to meet dynamic needs.